Mike Henry has been a big part of Family Guy since he joined the project as a writer and voice actor when the series began in 1998. 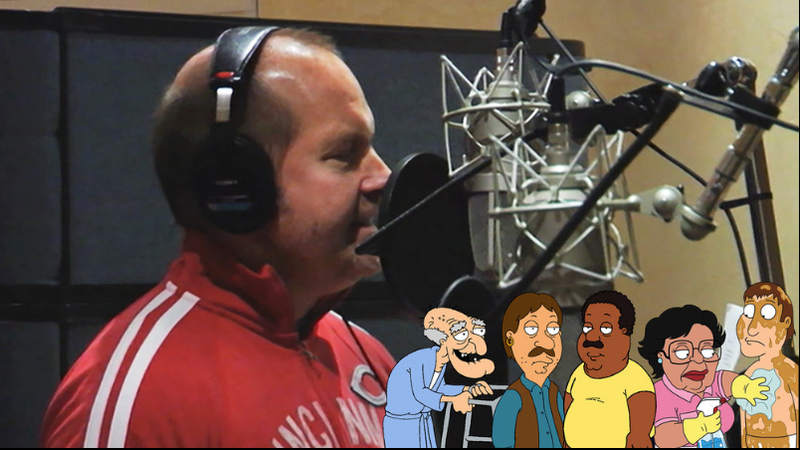 Mike created and voices many of the show’s characters including Cleveland Brown, Herbert, Consuela, Bruce, the original Cleveland Jr. and the Greased-up Deaf Guy. 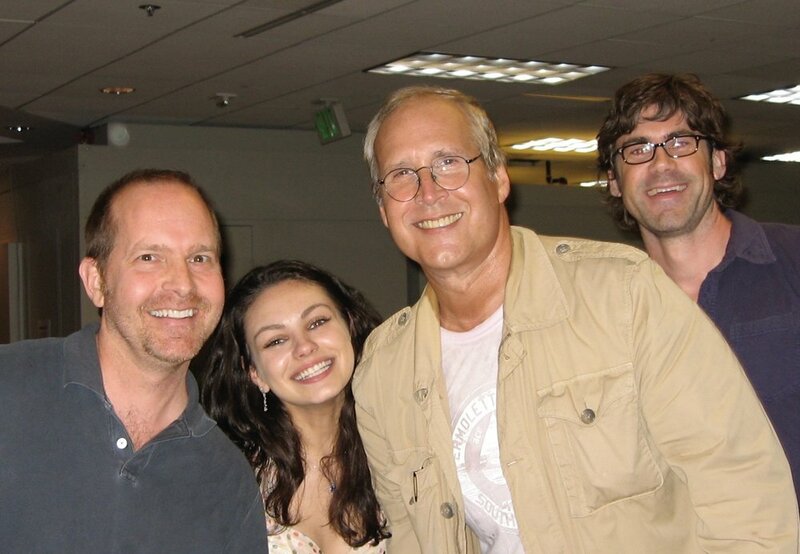 Mike became a series regular cast member at the beginning of season five. Season 17 of Family Guy airs this fall on FOX. Mike Henry in the Family Guy recording studio. Mike and Sara Henry backstage at Family Guy Live in Toronto. The Orville is a science fiction comedy series inspired by the television series Star Trek and created by Seth MacFarlane. Mike Henry portrays the friendly, music-loving alien, Dann, a Lieutenant and Engineer stationed aboard the ship. Dann’s species, while common in the Planetary Union, is unknown. His favorite job is curating the elevator's playlist. Season two of The Orville airs this fall on FOX. Mike Henry transforming into Dann the Alien. Mike Henry on the set of The Orville. Heritage is an independent comedy television pilot starring Mike Henry as Reggie Wilkerson (aka Mr. Hilarious), a TV star who returns to his hometown in Virginia to deal with a family crisis. He has evolved from small-town country-club society, but nothing there has changed. It was written, directed, produced and financed by Mike Henry and produced by his brother, Patrick Henry and Executive Produced by Joseph Micucci. It also stars Jenny Wade, Steve Agee and Kevin Michael Richardson. A demo was shot in Richmond, Virginia by cinematographer Bunt Young in the fall of 2016 and edited by Nick Wurz at Mondial Creative in Richmond, VA. Heritage is a work in progress... Stay tuned! 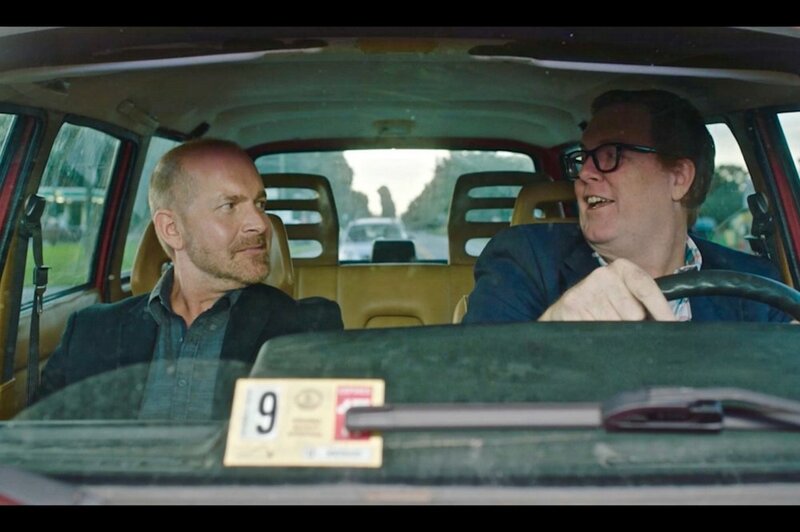 Mike Henry as Reggie Wilkerson with brother Timmy, played by Steve Agee. Mike Henry as Mr. Hilarious. Crosseyedtv.com is an internet TV network that features Mike Henry's work over the last 25 years. Check it out to see clips from Family Guy, The Cleveland Show, behind the scenes footage, vintage Henry Brothers shorts (made with brother, Patrick), including all 24 episodes of the web series Kicked In the Nuts, and a bunch of other random, cool stuff. 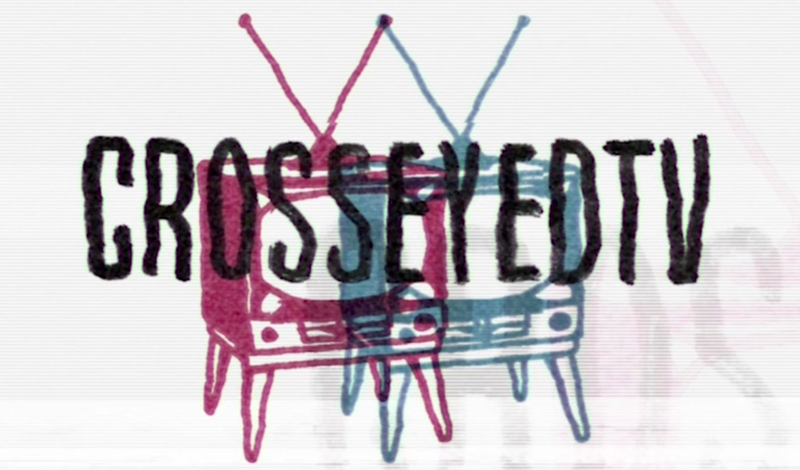 CrosseyedTV by Mike Henry streaming now! American Dad! is an adult animated sitcom series about the Smiths, an eccentric upper middle class family in Virginia. Mike Henry recurs as Jackson, a co-worker of Stan’s, as well as many other characters.